In the past few years, vaping has become increasingly popular. Many people have begun to vape and others have become curious about the new trend. 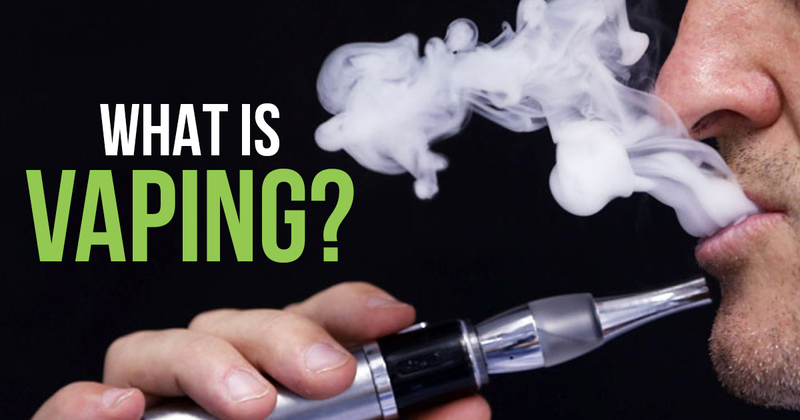 What exactly is vaping? Vaping is short for “vaporising”. It is a process by which someone uses a vaping tool to vaporise a liquid. The resulting vapour is then inhaled as one would inhale from a cigarette or a cigar. Vaping has become a popular alternative to smoking in some sectors. Some people vape instead of smoke, and others vape simply because they enjoy doing so. Vaping has two main components: the vape pen and the e-liquid. The vape pen, or vaporiser, is a tool that contains a reservoir tank, a heating element, a battery, and a nozzle. When you initiate the heating element, the battery supplies electricity to the heating element. The resistance in the element causes the element to heat up. Then the element gets hot enough to turn the liquid into a vapor. The vapour is largely composed of water vapour and flavourings. The vapour is then inhaled through the nozzle. There are several different types of vapes. There are starter vapes that are simple to put together and easy to use. There are also more customisable vapes that have different capacities. Some of them have larger tanks for holding more e-liquid. Others have more powerful batteries that last longer and provide more heat. You can find many different options at http://www.vapeking.com.au. Once you have decided on a vape, you need to decide on the e-liquid you want to use. E-liquid is the actual liquid that is heated by the element and turned into the water vapour. It is composed of two main ingredients: the base and the flavouring. The base is either propylene glycol, vegetable glycerine, or some combination of both. Both of these are food-grade liquids that are generally considered safe for ingestion. Propylene glycol is a flavourless liquid that produces thin clouds of vapour. Vegetable glycerin is slightly sweet, but produces thicker clouds of vapour. Propylene glycol creates the sensation in the throat of actually inhaling. If you want to have a stronger sensation, you should choose an e-liquid with more propylene glycol. If you want thicker clouds, you should choose a higher volume of vegetable glycerin. The liquid is then flavoured. The flavouring comes in many different varieties. There is flavouring that is designed to make the liquid taste like actual tobacco; this is desirable for those who are switching from tobacco use or those who just enjoy the taste of tobacco. In other circumstances, the liquid is flavoured to taste like many different things such as fruit or food. Quality e-liquid can be astonishingly close in terms of the flavours it is designed to mimic. Previous: How Should You Take Care Of Your Skin?